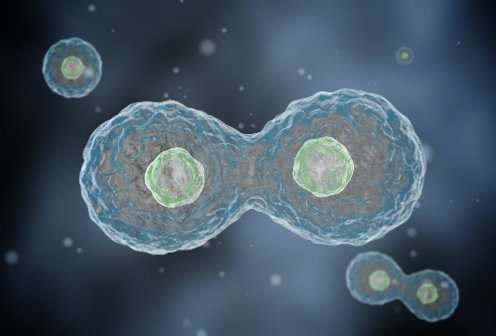 Human cells divide and create new cells throughout life. In this process, a steady—even rhythmic—supply of DNA building blocks is needed to create new DNA. Now researchers from the University of Copenhagen are the first to show exactly how human cells regulate this process so it does not fail and cause illness. The researchers also show how they can manipulate the rhythm and suggest how this can be used in the future to kill cancer cells. The study is published in Science.